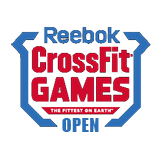 Membership which allows you to attend 2 CrossFit classes per week. Membership which allows unlimited access to Fit Tribe 45 Classes. Membership which allows unlimited access to Fit Camp Classes. Drop-in fee is $20 per day or $60 for 1 week of unlimited classes. Personal Training is available by appointment only. Please contact us for more details and pricing.